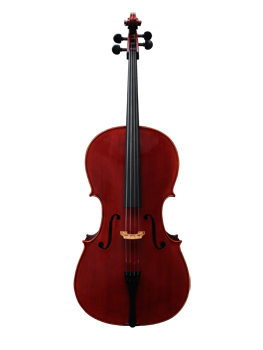 With its outstanding workmanship and wood quality, this cello is a lovely choice for the player seeking an upgrade from our Model 30. Such fine details in this unique, traditionally crafted instrument provide it with a focused, crisp tone that easily projects. It is complete with a beautiful, hand applied red-brown varnish. Adjustment includes ebony fingerboard, pegs, high quality endpin, composite tailpiece with built-in fine tuners, and D'Addario Prelude or Helicore strings.